The Nexus 5X ships today as we all know that, and the Google says it will be fully compatible with Project Fi. 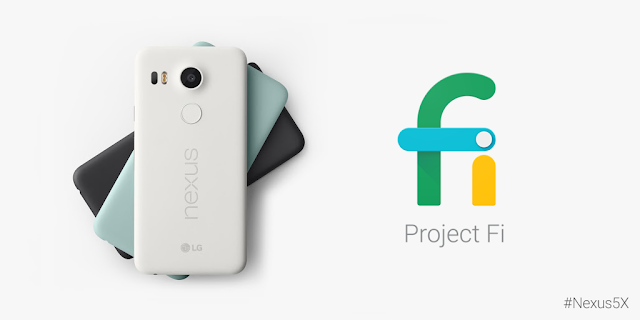 To celebrate that fact, they’re promising instant Project Fi invites to anyone who wants one for the next 24 hours. All you’ll need to do is head here and sign up with the Google account you want to use it with and you're done. Project Fi’s big draw isn’t in giving you absurdly cheap data. At $10 per 1GB, it’s pretty much in line with the rest of the industry. Instead, it comes from the promise of a service that can deliver true WiFi calling, and when you’re not on a WiFi network you will automatically switch between the best available Sprint and T-Mobile networks to ensure a great experience at all times. It also refunds you for any data you don’t use each month, and gives you the freedom to easily use multiple devices for just 1 phone number. There are a lot more benefits of using Project Fi that you can read about right here. If you’re planning on getting a Nexus 5X, Nexus 6P or simply want to try it with the Nexus 6 you already have, then sign up now to guarantee yourself service.